Naming a new puppy would’ve been easier. It didn’t even take me that long to come up with names for my children. But it’s taken me nearly five months to come up with a title for my blog. You’d think, being a writer, it wouldn’t be that hard. But titles are so important and they can be really difficult to nail. The title of a story or book or blog is the first thing the reader sees and it needs to shout “Oi! Over here, listen to this, here’s something worth reading!” A well-crafted title can be the difference between a reader turning the cover and having a peek inside or putting the book down and walking away. A friend was really surprised recently when I said I had half a dozen potential titles for one of my novels undergoing yet another draft. She said, “Isn’t the title the first thing you write?” Well it might be the first thing you write but it might also be the last thing you write. Sounds strange, I know, but writers are like that. Strange. When I start a story, I usually have a title but it’s never set in concrete. It’s just a handy compass to help me keep track of where I’m heading with the story. If the story starts to ramble or a character starts to head off in some unproductive direction, I can use the title to check I’m still telling the story I started. The title and the opening of a story make a promise to the reader, a promise to tell a story about something that happened to someone. If the writer veers off track and starts telling all sorts of irrelevant side-stories or if the writer changes horses midstream and starts telling the story of a different main character, then the reader starts to wonder what the story is really about. If the writer doesn’t fulfill the promise of the opening, the reader is justified in feeling cheated enough to toss the story aside and walk away. I’ve just finished reading the memoir The Inconvenient Child by Sharyn Killens and Lindsay Lewis. Apart from being a well-told story revealing some of the tragic realities of children’s institutions in Australia before 1980, I was very impressed with the title. It hits dead-centre at the heart of the story and the writers never veer from what they’ve promised right from the start. 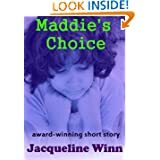 The title tells the reader who the story is about and it encapsulates the conflict – a child who was not wanted because of the inconvenience of her skin colour in a conservative white society. The story tells of the girl’s life-long search to find out where she belongs, to find the family that will accept her for who she is rather than reject her for the colour of her skin. By the end of the book, the title has borne out its promise and I found the story really worth taking the time to read. As well as being appropriate to the story, The Inconvenient Child is a great title for grabbing a reader’s attention. The second I saw that title in a review, it had me thinking. I wanted to know how something as precious and vulnerable as a child might come to be regarded as inconvenient. I wanted to know what happened to that child, whether she ever found a place to belong. So, as far as titles are concerned, this one ticked all the boxes for me. Sometimes, a good title just pops into my head and that’s a real gift. Often, though, it can take a lot of hard thinking and playing around with words before I’m happy to put it at the top of the story. Because a title is so important, even if I think my working title is good, I always revisit it once a story is finished. The reader is my first consideration so I always ask myself: will this title attract someone’s eye, will it raise a reader’s curiosity, will it say here’s a story worth reading? My second consideration is to check the title encapsulates the heart of the story, especially the main character and the core conflict. When a reader spots my title, I want it to be the crumb that reveals the flavour of the whole cake and I want the reader to be hungry for a bigger bite. When readers finish the last page, close the book and put it down, usually the last thing they see is the title. For every story I write, I hope readers will see that title and say, “Right, now I get what this story is about.” And I hope the title helps them remember that story just a little longer.